Nicholas A. Branca, Professor Emeritus, San Diego State University, was involved in the field of mathematics education for over 30 years. He received a Bachelor of Science degree in Mathematics from Iona College, a Master of Arts in Teaching degree in Mathematics from Harvard University, and both a Master’s Degree and Doctorate in Mathematics Education from Teachers College, Columbia University where he specialized in K-12 Mathematics Teacher Education. At the University level, in addition to his tenure for over 25 years in the Department of Mathematics and Statistics at San Diego State University, Professor Branca taught at Columbia University and New York University and served on the faculties of Stanford University and the Pennsylvania State University. He specialized in teaching mathematics to prospective elementary and secondary teachers of mathematics, and in programs for both masters degree and doctoral candidates in mathematics education. He was also a visiting scholar at the University of London, Chelsea College, and the University of Michigan. Before his career at the University level, Professor Branca worked as a teacher of mathematics at the junior and senior high school levels. The recipient of numerous awards, Professor Branca received two prestigious awards from SDSU. He received the Alumni Association Award for Outstanding Faculty Contributions to the University, also known as the Monty, in 1988, and received the Top 25 at SDSU Award in 1999. During the past 20 years, Professor Branca focused on the design, development, and implementation of professional development programs for K-12 mathematics teachers. He served as the Director and/or Principal Investigator of various local and regional professional development projects sponsored by the State of California and/or the National Science Foundation; among them, the San Diego Mathematics Project, the Mathematics Renaissance K-12 and the Video Cases in Mathematics Professional Development Project. Professor Branca also served as the Executive Director of the California Mathematics Project, a statewide network of over 20 university-based professional development projects. In addition to his teaching at both the Secondary and University levels, and his professional development work with teachers, schools, and districts, Professor Branca has conducted research and published in the areas of mathematics problem solving, learning and teaching. He was involved in a number of mathematics curriculum development projects, including the Secondary School Mathematics Curriculum Improvement Study, the School Mathematics Study Group, the Connected Mathematics Project, and the Reconceptualizing Mathematics Courseware for Elementary and Middle School Teachers Project. He created mathematics curriculum material for both students and teachers, and he was a life member of both the California Mathematics Council and the National Council of Teachers of Mathematics, where he served on the writing team for the Professional Standards for Teaching Mathematics. 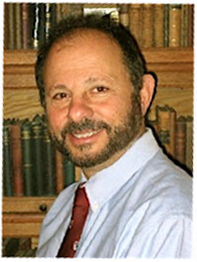 Professor Branca was serving as a Co-Director of the Professional Development Collaborative (PDC) of the Center for Research in Mathematics and Science Education at San Diego State University. The PDC provides a variety of professional education programs to mathematics teachers in San Diego County, offering teachers the opportunity to reexamine the mathematics they teach in order to come to a deeper understanding of the content and its connections to other mathematical ideas and concepts. Professor Branca also served as a mathematics consultant to various schools and districts and to publishers and professional organizations, providing professional development to teachers and educational leaders. Survivors include wife Melanie Ruth Branca of San Diego, son Nicholas Noel Branca of Darien, CT; daughter Melanie Anne Branca of Darien, CT; daughter Marisa Catherine Ruth Branca of San Diego; eight grandchildren, and long-time friend Paul Kerry of San Diego. © 2019 Nicholas A Branca Memorial Scholarship Foundation. All rights Reserved.